Amy's Kitchen is a family owned and operated business committed to producing natural, wholesome foods. 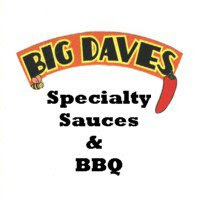 The business was started in 1987 by Rachel and Andy Berliner right around the time their daughter, Amy, was born. Both Rachel and Andy have backgrounds in the production and distribution of organic foods. They took their love of food and family and developed Amy's into a major player in the natural foods industry. Amy's produces an extensive line of products including Mexican, Indian and Asian inspired entrees as well as desserts. All of Amy's products are crafted from organic ingredients with quality, taste and nutrition in mind. Amy's products are all vegetarian (and many vegan) friendly and many are gluten free. While many of Amy's products had me interested, I focused on their salsa for The "Q" Review. They were kind enough to send jars of all the three salsas they produce: Mild, Medium and Black Bean & Corn. Each salsa is made from organic tomatoes and packaged in 14.7 oz jars. The labels are colorful and festive, evoking the spirit of Mexican culture and food. In need of an evening snack, I popped open the jar of Mild Salsa last evening. The salsa is bright red with a relatively smooth, consistent texture. It's not a chunky salsa like most of the grocery store brands. Amy's Salsa is a very simple recipe. Onions, jalapenos, cilantro, lime juice and additional organic spices are added to the pureed tomatoes. There are no preservatives or ingredients that you can't pronounce. 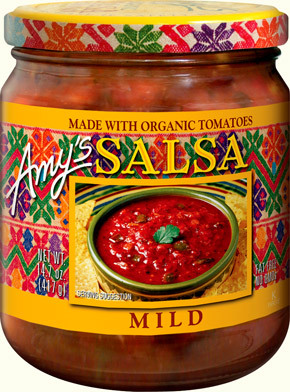 Like all of Amy's products, this Mild Salsa is just good, wholesome food. Personally, I like a LOT more heat in my salsa, but Amy's Mild Salsa is great option for families. With it's mild flavors and quality ingredients, you can feel good about your children eating Amy's salsa. Amy's salsa can be used as a dip or topping sauce for all of your Mexican inspired favorites. Amy's products can be found at grocery and health food stores all over the country (and beyond). To learn more about Amy's products, click the title of this review. See how their Mild Salsa rates on our "Product Reviews" page. 2 Response to "Amy's Mild Salsa"
buy kerala spices online visit indianonlinespices.com. If you would like to buy kerala spices have it online than go for somewhere in market . So it’s easy to buy kerala spices online, when many options like marketplace for Indian ethnic products are now available. Much effective for customers to purchase actual spice product from experienced certified spice sellers in India. Buy Kerala spices online and enjoy the real spice, flavour of Kerala.